The ESTA is a process that enables an individual to get a travel permit to the United States online without the need to actually visit the United States Embassy. Nevertheless, there is no such option as a VISA in ESTA. However, you must consider the pros and cons of both the options. With the implementation of ESTA, traveling to the United States is no longer a tough task to do. Merely applying for the ESTA can make you eligible to travel to the US. Therefore, if you are susceptible about applying for a visa or ESTA to travel to the United States, you must know all about online travel permit ESTA. ESTA i.e. 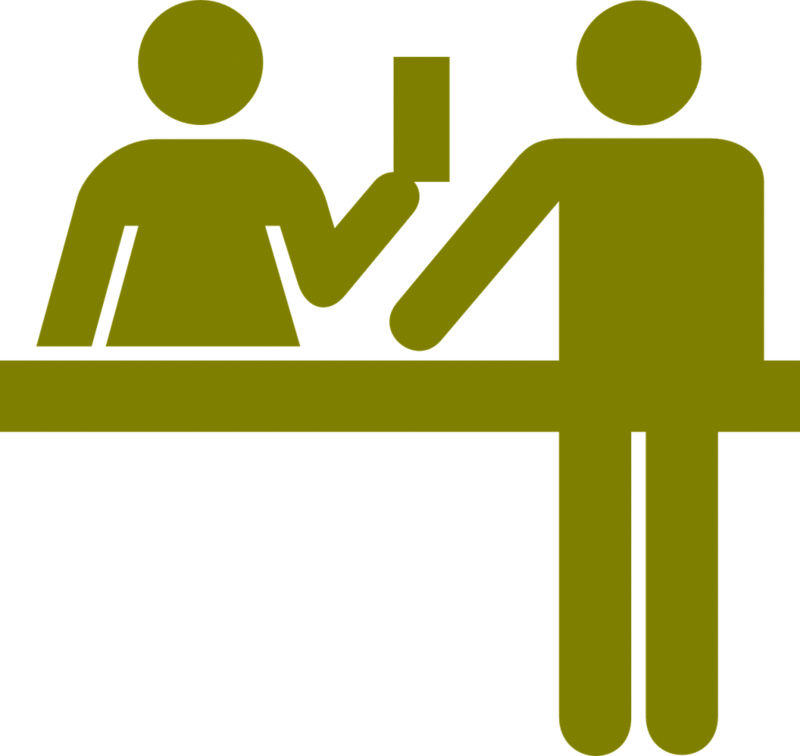 Electronic System Travel Authorization is an automated system which is applicable for citizens from the visa waiver countries. Under the ESTA program, citizens from 38 different countries across the globe are permitted to travel to the United States on leisure or business for as long as 90 days. However, you must keep in mind that this is not a visa replacement; but only related to travel purpose. The best part of ESTA is that you are no longer required to go anywhere to seek several permissions to enter the US. All you need to do is to simply apply online for ESTA and wait for the process to complete on its own. Before applying for ESTA, check the list of 38 countries that come under the US Visa Waiver Program. If your home country falls in this list, you can apply for ESTA and travel to the US for a short period of time without any visa. Apply from the comfort of your home. We will send your approved ESTA travel permit by email! Duration of your trip: As per your convenience, you can choose to apply for a Visa or ESTA if your trip duration to the US is for 90 days or less than that. If you have decided to apply for ESTA, make sure that your trip is less than 90 days. If your trip duration is going to exceed 90 days, then you need to apply for the US visa only. Holiday: If you are visiting the US for the purpose of tourism, and if your trip is equal to or less than 90 days, then you will get a number of benefits from ESTA instead of the US visa. Moreover, applying for ESTA is more convenient and simple. Medical treatment: The US is known to have some of the best and most advanced medical treatments and facilities across the globe. So, if you are visiting the country to get any kind of medical treatment, then it is best to apply for ESTA because of the convenience and simplicity it offers. Make sure, your treatment duration is not more than 90 days. If it is going to be a long treatment process and if you think that you won’t be able to recover in 90 days, then you should consider applying for a visa. Business trip: Certain business purposes might call your presence in the United States. For instance, if you are purchasing or selling a property in the US, if you need to attend a corporative event or a professional exhibition in the country or if you are coming to the US just to sign a contract then applying through ESTA is the best way of getting entry to the US. Applying for ESTA is an easier and quicker way of getting entry to the US, but there are certain conditions for which you need not apply for ESTA and you can get entry through visa only. So, it is important to discuss what type of trips does not fall under the ESTA category. Not sure if you can apply for ESTA Authorization? Here is all you need to know about the ESTA travel permit. Work trips: If you are traveling to the US for work, and if you are going to get compensation for the work during your stay in the United States, then you are obligated to apply for a visa only. A person processing the travel application via ESTA is not legally permissible to carry out any work related activity in the country, even in the case of a professional labor like artist, reporter, etc. Study trips: When your whole and sole purpose to travel to the US is an academic activity, whether for a long and a short duration of time, then you must apply for a visa. Rather, you should apply for a visa if your purpose is to study a course in the United States because after the studies, the visa allows possibilities of extension, in case you decide to extend your stay after completing the course. However, this possibility is not allowed in the case of ESTA. Once your 90 days are over, you need to return to your home country. There is no option to renew your ESTA. Marriage: Whatsoever is the condition, with ESTA, you are not allowed to marry in the United States. If you are traveling to the US for marriage purpose, then you need to apply for a visa only. There are no possibilities of extending, renewing, or changing your stay period with ESTA. By any means, you cannot modify the status of your application. Thus, if your purpose is marriage, then, you must apply for a visa to extend your stay, for residency or for nationalization. Emigration: If you have decided to relocate to the US, then the best option is to apply for a visa. In this case, ESTA will not be of great help to you. You are not allowed to have any modification later on with ESTA, as with ESTA you cannot apply for residency or get a green card, not even if you are a long-term resident or a frequent visitor. Only applying for a visa enables you to update your status later on as a US resident and eventually the US citizen. Nationalization: When your purpose of traveling to the United States is to finally get citizenship of the country, then the only option you are left with is to apply for a visa. With ESTA, you are not liable for US citizenship. Later on, you are not even allowed to do any modification or update the status of your application. This means that you won’t be able to apply for nationalization with an ESTA. Under ESTA, the travelers are authorized to board a carrier to travel to the United States under the scheme of VWP. However, the private carriers must fall under the signatory visa waiver program carrier. The applicant must apply through ESTA at least 72 hours before the time of travel. However, you must keep in mind that it is not a visa and do not meet the legal obligations. On the contrary, if you have a visa, there is no need to apply for ESTA. However, entry to the United States is not guaranteed in both cases. No matter, how much informed you are, in some cases, you tend to get confused and certain questions regarding online travel permit ESTA might pop-up in your mind. You may be confused about whether you should apply for visa or ESTA. Here are some of the answers to your queries that might help you out in case of any confusion. The ESTA travel authorization is not the same as a visa. It is applicable to only those who are liable for a visa waiver program. It is different from visa, as it does not have any legal permit or it cannot be extended. It is a travel requirement which is applicable only for 90 days. On the contrary, visa duration can be extended and it offers many facilities and legal rights to the person traveling to the United States. A person with a valid visa does not need to apply for ESTA. I made a mistake while applying for ESTA online. How to fix it? In order to correct a mistake in your ESTA application, you need to keep a check on your application status. In case of wrong application, there are chances of rejection. However, before you finally submit it, you must make sure to review your application and check the details, including the information provided, passport number, spellings, dates, and other relevant information. Do I need to apply for ESTA if I already have a valid visitor visa? No, as long as your visa is valid, you need not apply for ESTA. On the expiry date of your visa, you can apply to extend its duration or period. Having a valid visitor visa makes you eligible to go to the US. My home country is not a part of the Visa Waiver Program. Can I apply for ESTA? No, in that case, you are not eligible to apply for the ESTA. It is for the individuals who enter the United States with a passport from a Visa Waiver Country only. If you do not belong to the category of a Visa Waiver Country, you must apply for a US Visitor’s Visa. My US visa application got rejected. Now, can I apply for ESTA and get permission to enter the US? No, if you have ever been denied a visa to the US, you cannot travel under the Visa Waiver Program either. If you intend to enter the US by sea or air as per the Visa Waiver Program, you need to apply for ESTA. However, it is not applicable in the case of land. On the other hand, in case you want to stay for more than 90 days, then you must apply for a valid visa. I did not receive approval for ESTA. Now what? As per the records of the Department of Homeland Security, over 99% of all ESTA applicants are approved within 5 seconds. However, if your ESTA application is denied, then you can try for a second time by applying for a US visitor’s visa. Now you know, there are certain conditions that you need to meet while applying for a visa or ESTA. Most importantly, you need to look at the duration of your trip. If it’s less than 90 days, and if your home country falls under the Visa Waiver program, then you can go ahead and apply for ESTA. However, you need to meet other conditions as well, such as your purpose of visiting. Depending on these conditions you can decide whether you should apply for a US visa or ESTA.